Two Chinese scientists, physicist Zhao Zhongxian and pharmacologist Tu Youyou, won China's top science award Monday for their outstanding contributions to scientific and technological innovation. 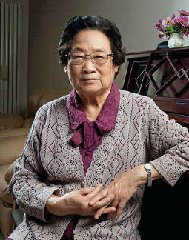 Zhao is a leading scientist in superconductivity, while Tu won the 2015 Nobel Prize in Physiology or Medicine for her discovery of artemisinin to treat malaria. The pair were presented the award at an annual ceremony held to honor distinguished scientists and research achievements. Winners are each entitled to an award of 5 million yuan (around 722,000 U.S. dollars). The winners were chosen by the State Council.